At Empirical Therapeutic Massage & Acupuncture our approach to body work is to provide each clients with individual treatment. ETMA utilizes Deep Tissue Massage,Trigger Point Therapy & Stretching which helps to improve circulation. 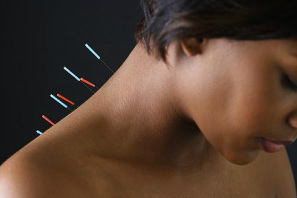 Acupuncture is a technique used to move and balance qi and blood flow in the body. In Chinese medicine it is said blockage of Qi and Blood flow is the root of all disease. The acupuncturist utilizes sterile stainless steel needles to stimulate acupuncture points to improve the circulation of Qi and Blood. The free flowing of Qi/blood helps to facilitate optimum health. Moxabustion is the technique of burning an herb called mugwart over acupuncture points and along meridian channels. It is used to warm and unblock channels which can improve circulation. Gua sha is a technique we use to get QI and blood flowing through tight muscles. First we put a light oil onto the skin and then briskly pass a soft edged tool over the area.